Steamers India is one of the eminent names of the industry that manufactures, supplies and distributes Wall to Wall Shower Enclosure that can be availed at affordable prices. 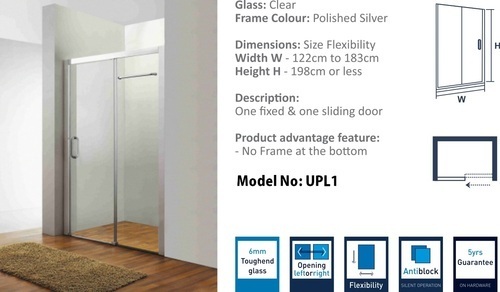 The proffered selection comes with one fix partition and openable door. Made available in customized dimensions, these enclosures are demanded for their neat finishing and appealing designs.